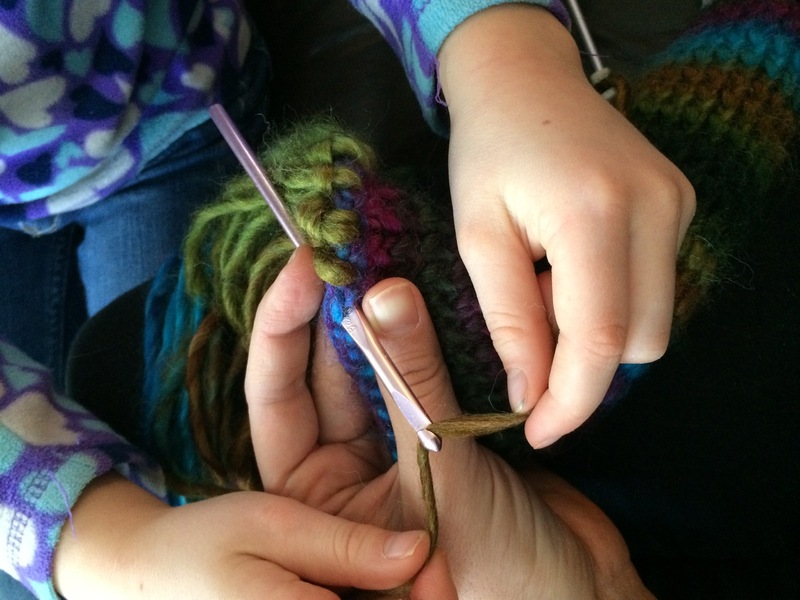 We spent the better part of November evenings and weekends listening to Harry Potter on audio and knitting; here Anneke and I are finishing a wool scarf for her. 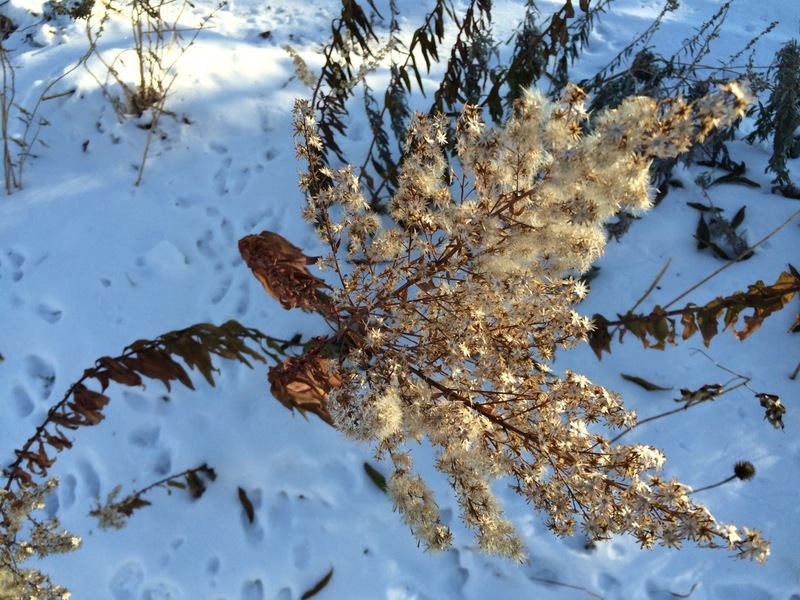 Here’s a goldenrod seed head catching the low winter sun. We have not gotten a very heavy snowfall yet this winter, so my front yard still looks either really messy or really beautiful, depending on your point of view. I don’t clean up any of my perennials in the fall; the seed heads feed the birds and the foliage provides shelter for various overwintering insects. Whatever’s left in the spring can go in the compost at that point. We’ve eaten no small amount of pumpkin this fall. 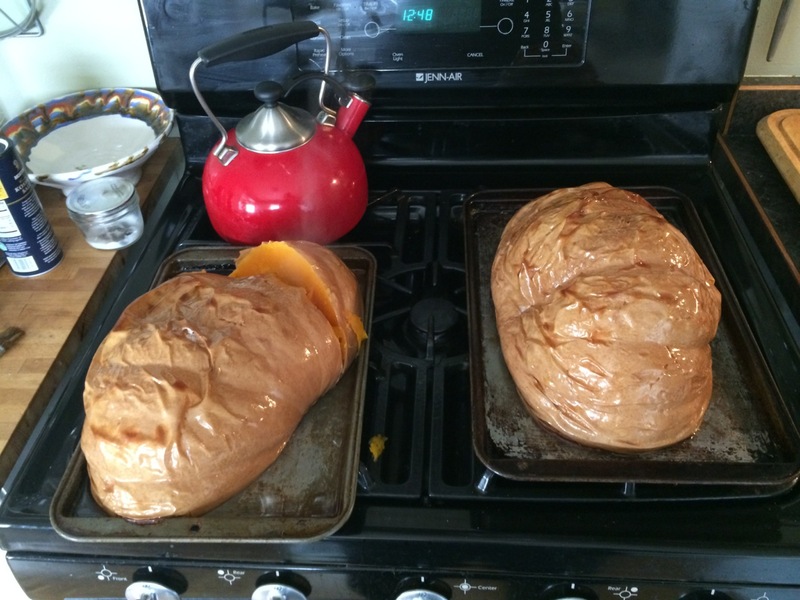 I’ve been using this method to bake my Long Island Cheese pumpkins: cut in half, turn upside down, brush the skin with olive oil, bake at 350 until done (usually at least an hour). These have so much moisture in them that I ended up having to skim liquid out of the cookie sheets lest they overflow. The end result is a nice concentrated pumpkin flavor; this was truly a delicious variety. We still have quite a bit of it left in the freezer, so the pumpkin breads/pies/muffins/everything can continue unabated for a while yet. 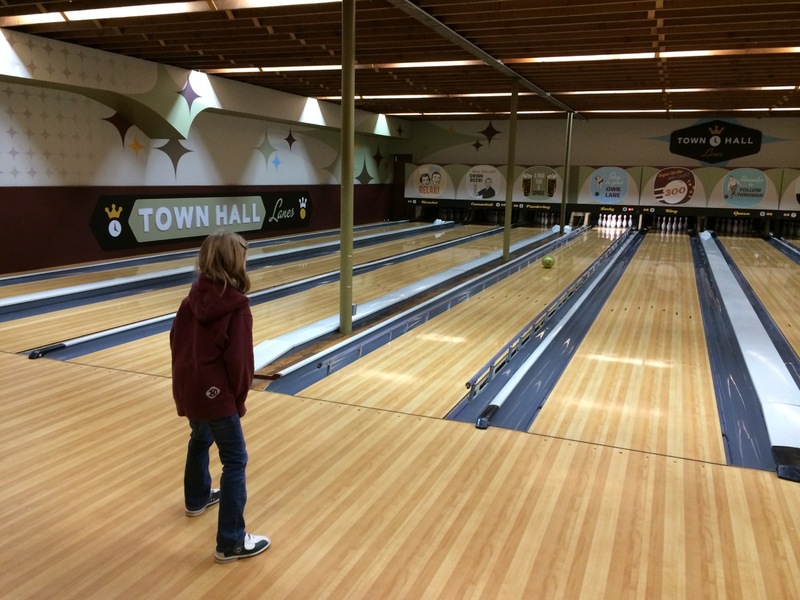 We had a fun Christmas, which included what might become a yearly bowling tradition. Mark it 8, Anneke. We live in such a beautiful area. 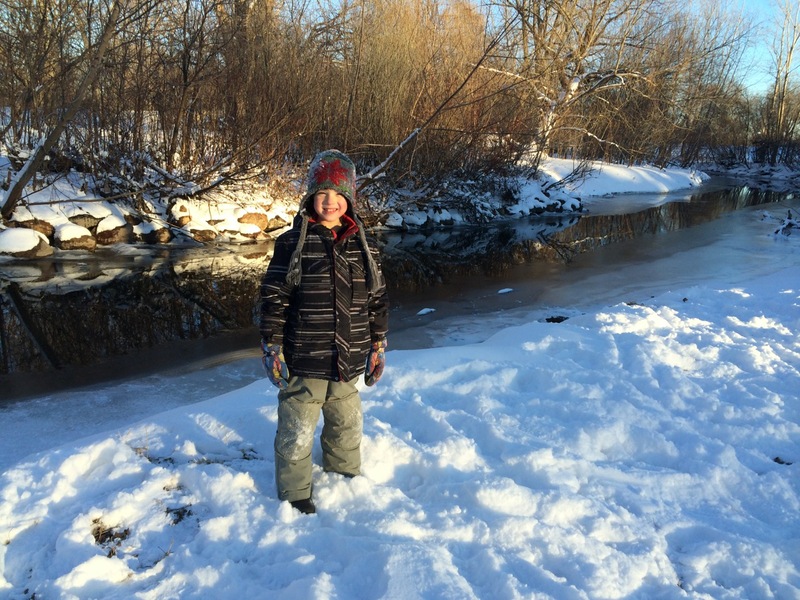 At the bottom of our favorite nearby sledding hill is beautiful Minnehaha Creek. When it freezes over the kids try to slide all the way to it and land on it. It’s neat that many of my fondest memories from my country childhood are possible for my kids to experience right here in the city. Love ya, Minneapolis! I hope to be back with the start of some 2015 gardening plans in January, but in the meantime, snuggle up and stay warm. Happy New Year!